One good road trip leads to another. Last year I tagged along on a friend’s trip across the country from where I live in Charlotte. While my schedule didn’t allow for me to follow along past New Orleans to the Grand Canyon, Monument Valley, and the many varied attractions along the way, it inspired me to suggest another Walkabout. For as long as I can remember, I’ve had this desire to drive up Highway 1 along the California coast. I blame Hollywood for glamorizing the experience and will report back if it lives up to the hype. 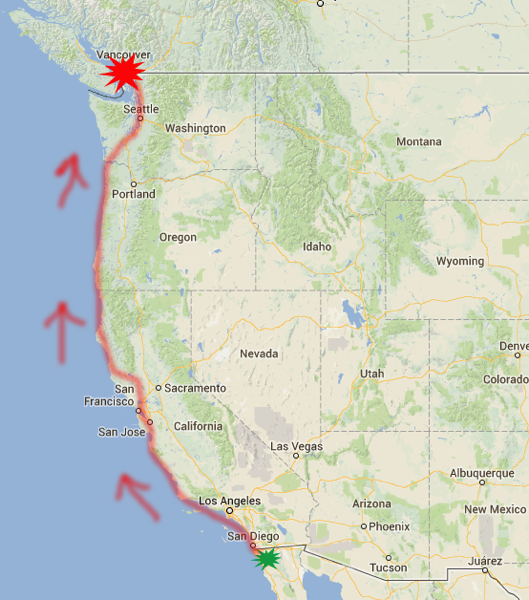 Toward the end of Tim’s West Coast Walkabout last November I floated the idea of “what if we drove from Tijuana to Vancouver?” Tim was immediately on board with this random idea of an adventure and in a few minutes my plane leaves Charlotte to start this journey. We’re both photo geeks, and I’m certain we will have a wealth of things to look at and click the shutter. We have a rough plan for how to spend the next 10 days, but expect to have lots of side trips and unexpected journeys along the way.